ASA is an innovative Service Center that is quality focused and accreditation success oriented. ASA solves medical facility compliance problems, be they large or small, including: QAPI, infection control, mock surveys, staff meetings and training, certification alerts, medication outdates and controls, and deficiency corrections. ASA has the most comprehensive accreditation compliance electronic library for surgical facilities. ASA reduces the time that surgical staffs typically spend on compliance issues because it does the work for them. When staff work on compliance preparation is reduced, money is saved. Savings for an average sized Medicare surgical facility is approximately $29,400 annually. The savings for an office based surgical facility is approximately $15,720 annually. ASA solves accreditation compliance problems by providing the tools that are prepared for our client facilities, which makes inspections routine and worry-free. With ASA, client facilities have an accessible compliance partner (available 24-7) that allows a peace of mind to give more attention to surgical procedures and patient safety. ASA is a privately owned company that takes accreditation compliance to a higher level. There is no other company in existence like ours. ASA provides state of the art compliance solutions that give ambulatory surgery centers the tools, methods, and support to achieve and maintain accreditation. The ASA staff includes Board Certified Surgeons who are accreditation inspectors and are readily available to assist with any compliance or accreditation issue. 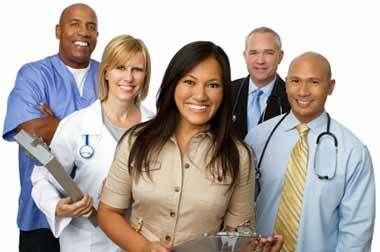 We also have a pool of qualified, highly trained physicians who own surgery centers and we have experienced nurses. Both of these professional groups conduct mock surveys and write plans of correction for compliance deficiencies. ASA enables surgical facilities to take care of patients while we take care of accreditation compliance. ASA provides innovative accreditation compliance services delivered via a streamlined, user friendly, interactive online process that eases the burden and relieves the hassle of preparing for accreditation. ASA services are individualized and prepared for you according to the latest accrediting agency standards. Our company writes training modules and meeting summaries for its client facilities. ASA prepares medication outdate alerts and staff credentials update notifications. ASA analyzes facility infection control protocols and quality improvement data for its partner clients. ASA services save time and money, eliminate the accreditation compliance hassle, and prepare you for accreditation. ASA successfully implements all aspects of accreditation compliance solutions. Our services reduce the hours spent on accreditation preparation, thus improving your facility’s bottom line. ASA assists your staff by entering your facility data at no additional cost, which includes facility information and staff credentials. No other company or agency prepares compliance alerts, training modules, meeting summaries, quality assessment analyses, infection control data, deficiency corrections and special projects like ASA. Client facilities are consistently accommodated and served by the customer relations person who is familiar with you and your facility. ASA’s array of compliance offerings, delivery of customized services, national outreach, surgical-centered professional staff, knowledge of national and state accrediting standards, and accommodation of after-inspection deficiencies, or issues, makes our company preferentially unique.